Photography The Way I See It…. 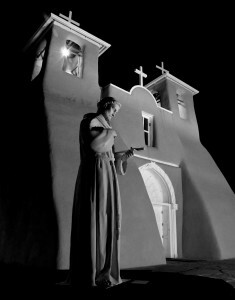 HMA Photography was born from my visual appreciation of Northern New Mexico and all it has to offer. Growing up here as well as having the opportunity to run High Mountain Angler custom rods & fly fishing guide service for 15 years, I was able to visually experience what most haven’t had the opportunity to see. Capturing these images at the time, on an amateur level, was when I realized my desire to share them. Bringing all this together has offered me an endless journey of creative expression and an outlet to share the world I love to live in. Countless hours of reading, self-teaching, and guidance from a few well known professionals, I have found myself capturing the beauty of my hometown, the people and places that make me who I am today. As a photographer, I strive to capture that moment that shows the spirit of my subject. Whether it is the awe inspiring landscape of the Southwest, the quiet reverence of my childhood parish, or the sheer determination and will of a rodeo cowboy, I will always be chasing that one perfect shot. My desire to explore and master photography, will always fuel my drive to pursue the next perfect shot. Please enjoy my vision of my home, the way I see it through my lens. Thanks for looking!